Prior to Celebration, the conventional practice was to back up your most expensive homesites to visual amenities such as a park, a lake or a golf course. This might be nice for the few who can afford to pay the premium price, but for the rest of the residents in the neighborhoods who can’t or don’t want to pay the premium, these visual amenities might just a well not be there. At Celebration, we took clues from some of the many great places we studied and visited such as East Hampton, Charleston and Savannah and publicized the major visual and recreational amenities. 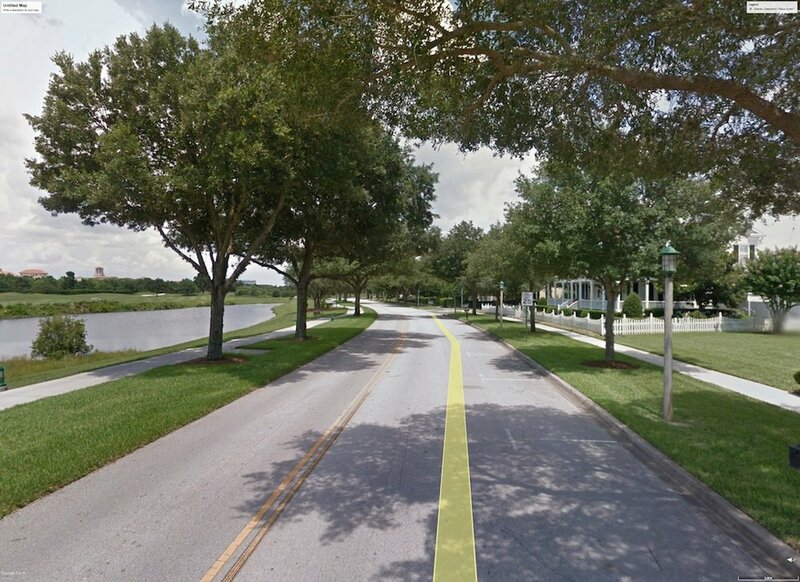 Rather than having houses back up to the golf course, we had houses across the street, Golf Park Drive, and facing the golf course. Admittedly, for the lots closest to the golf course, we may have generated a higher per lot premium if we backed the houses up to the golf course. But, while we gave up a bit of revenue on these handful of lots, we more than made up for it by being able amortize the investment into the golf course across all the lots in Celebration. In addition to generating more monetary value, publicizing the golf course afforded everyone the ability, no matter where you lived or what your net worth might be, to enjoy the beautiful of the park in which the golf course was placed.